Six passengers suffered non-life threatening injuries after a Canada-bound plane crashed shortly after take-off in Guyana’s capital. 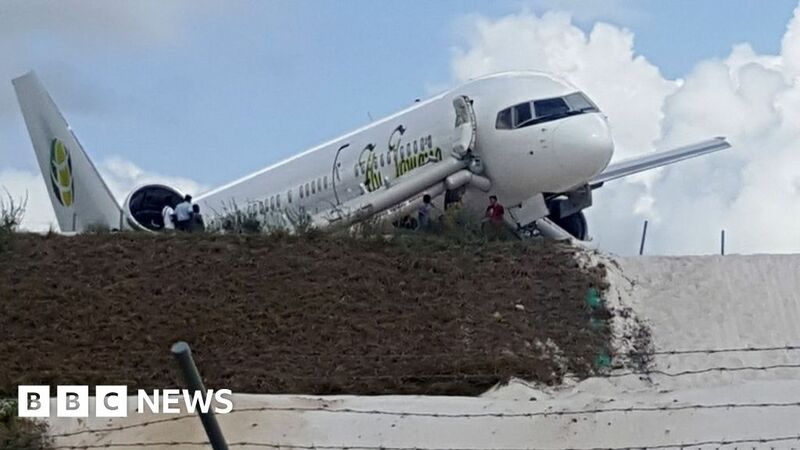 The Fly Jamaica flight made an emergency landing at Cheddi Jagan International Airport, in Georgetown, at about 02:00 local time (06:00 GMT). It had taken off not long before heading for Toronto. The Boeing 757, carrying 126 people, including two infants, returned after experiencing hydraulic problems. A spokesman for the airline said it “suffered an accident on landing”, but all 118 passengers and eight crew were safe. Guyana’s Transportation Minister David Patterson said those hurt in the incident had been taken to hospital. This is the second Boeing aircraft to crash in two weeks. A Boeing 737 MAX 8 operated by Lion Air crashed into the sea soon after take-off on 29 October, killing all on board. Boeing said it was looking into the incident.